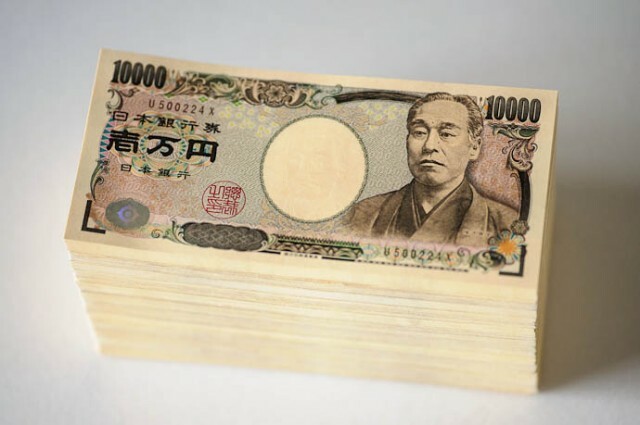 Japan is much cheaper than you think, especially now with a weak yen. And Kyoto is much cheaper than Tokyo. Indeed, Kyoto is one of the cheapest major destinations in the developed world. Don’t believe me? Read this page. Japan gained an image in the 1980s as one of the world’s most expensive countries. But, since that time, prices have hardly changed in Japan, while they’ve soared in the rest of the developed world. At this point, Japan is the cheapest country in the developed world. And here’s something to keep in mind: prices in Kyoto are significantly cheaper than in Tokyo, especially for accommodation. To get an idea of just how reasonable Kyoto is, have a look at my Kyoto on US$100 a Day page. On this page, I give some typical costs for a stay in Kyoto. A Big Mac in Japan costs Y370. According to The Economist, this means that the yen is undervalued by 34%. In other words, Japan is CHEAP. For reference, Japan sits between Thailand and Hungary in The Economist’s Big Mac Index (as of January 2015). 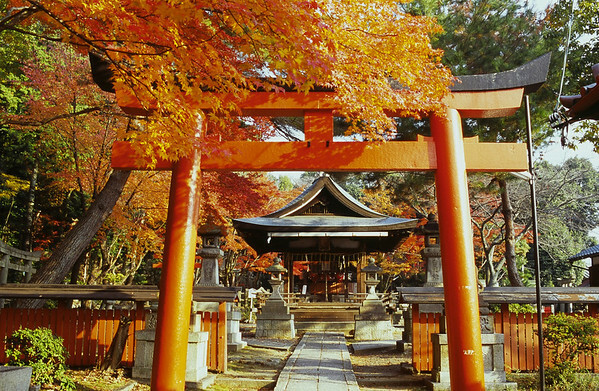 Kyoto has a huge variety of accommodation in every budget range. Overall, you can expect rooms to be about 30% to 50% cheaper in Kyoto than in Tokyo. Just beware that prices go up during the peak seasons (March to May and November) and rooms can be hard to get at these times (book well in advance!). Guesthouses: Y2,000 to Y5,000 per night, per person. Kyoto is packed with guesthouses that welcome foreign travelers. They range from cramped dives to new, clean and well appointed places. At the low end of the price range, there are shared dorm rooms, while at the top end, you can get very simple private rooms. See Best Kyoto Hostels and Guesthouses for my favorite accommodations in this category. Budget ryokan: Y3,500 to Y7,000 per night, per person, with no meals. Kyoto has several budget ryokan that cater to international travelers. Do not expect any luxury here. These are usually drab buildings that resemble cheap hotels, but the rooms are done in the Japanese style, with tatami mat floors and futons instead of beds. Bathroom facilities are shared. The advantage of these places is that you can usually pack three or four people into a room, which brings down the per-person price. Check out Best Budget Ryokan in Kyoto for some recommendations. Budget (business) hotels: Y4,000 to Y8,000 per person, per night. You can get rooms in some budget hotels for as low as Y4,000 per person, per night. Your best bets are national business hotel chains, like Toyoko Inn. Needless to say, these are cheaper if you’re staying two in a room. Singles will always cost more per person. Rooms in these places are small but well equipped with everything you need. See my Best Value Kyoto Hotels page for some of my favorite budget hotels in Kyoto. Midrange hotels: Y10,000 to Y20,000 per room, per night. In this price range, you can choose between business hotels and some slightly nicer travelers hotels, like those of the Mitsui Garden chain. Rooms will be small but have everything you need. Don’t expect much in the way of concierge service or facilities like gyms or spas. In terms of comfort for money, this is the sweet spot in Kyoto accommodation. For some picks in this bracket, see my Best Mid-Range Hotels in Kyoto page. Midrange ryokan: Y8,000 to Y15,000 per person, per night. There are several moderately priced ryokan in Kyoto that welcome foreign guests. While these will not resemble the fantasy ryokan you’ve seen pictures of, they can be very comfortable and are a good way to experience a Japanese way of life. Some places serve meals, at least at breakfast. Toilet and bath facilities are usually shared. See my Best Mid-Price Ryokan page for my top picks. Luxury hotels: From Y20,000 per room, per night. There are several excellent luxury hotels in Kyoto and the number is growing each year. You can choose from top Japanese brands like the Okura and leading international brands like Hyatt, Westin and Ritz-Carlton. Expect the usual facilities like concierge service, restaurants and spas. My Best Luxury Hotels in Kyoto page has details on the top picks here. Boutique hotels: From Y20,000 per room, per night. A few boutique hotels have opened in Kyoto and these are a great choice for those who prefer an intimate scale. I list some of my favorites on my Best Boutique Hotels in Kyoto page. If you’re able to spend at least Y25,000 per person, per night for accommodation, then you can have an unforgettable ryokan experience in Kyoto. Indeed, as the capital of traditional Japanese culture, Kyoto is THE place to try a good ryokan. Yes, they’re expensive, but remember that you’re getting two excellent meals with your stay (dinner and breakfast). I often recommend that people spend one night in a great ryokan and then move to a good hotel. Some top choices for your special ryokan experience include Seikoro, Tawaraya, Hiiragiya, Gion Hatanaka and Ugenta. For details on some of these, see my Best Ryokan in Kyoto page. You can eat well in Kyoto on any budget. There are hundreds of cheap shokudo (all-round restaurants) and noodle/rice shops, Japanese chains and the usual international chains. If you’re willing to spend a bit more money, you can get proper sit down meals in nice surroundings for less than you’d expect. And in the luxury bracket, you can expect some truly memorable meals in sublime surroundings. Average price: Y300 to Y900 per person. Don’t worry about missing the good stuff just because you’re on a limited budget. You can get delicious Japanese meals in Kyoto for less than Y900 per person (that’s less than US$8!). Choose from noodles (soba, udon and ramen) and rice dishes, including curry rice – one of my personal favorites. There are also Japanese and international fast food chains for burgers, chicken and the like. Keep in mind that tea is free and there is no tipping, so the only additional price is the 8% consumption tax, which is often included in the prices listed on the menu. See my Cheap Eats in Kyoto page for some of my favorite budget restaurants. Average price: Y900 to Y2,500 per person. If you’re willing to spend between US$10 and $20 per person, you can get some really great food in some excellent restaurants. Just try that in New York, London or Paris! You can choose from an almost endless supply of Japanese restaurants, along with international cuisine like French, Spanish, Italian, Thai and Chinese. See my Best Restaurants in Kyoto page for some recommendations. Average price: From Y2,500 per person. If you can spend Y2,500 or more on meals, you are guaranteed of some truly memorable meals. Your choices include kaiseki (Japanese haute cuisine), tempura, sushi, Japanese beef and some world-class French and Italian food. Keep in mind that some of the best restaurants serve lunch for a fraction of what their dinners cost. In general, you can eat lunch at some of Kyoto’s best restaurants for Y2,500 per person, and dinners average around Y15,000. If you realize that this is about US$125, then you will understand that even at the luxury end of the scale, Kyoto is a GREAT value. See my Best Restaurants in Kyoto page for some recommendations. You will find that cafes are slightly cheaper in Kyoto than in most parts of the developed world. There are Starbucks all over the city, along with Japanese imitations. You’ll also find independent cafes and inexpensive Japanese chains like Doutor, which are significantly cheaper than Starbucks. 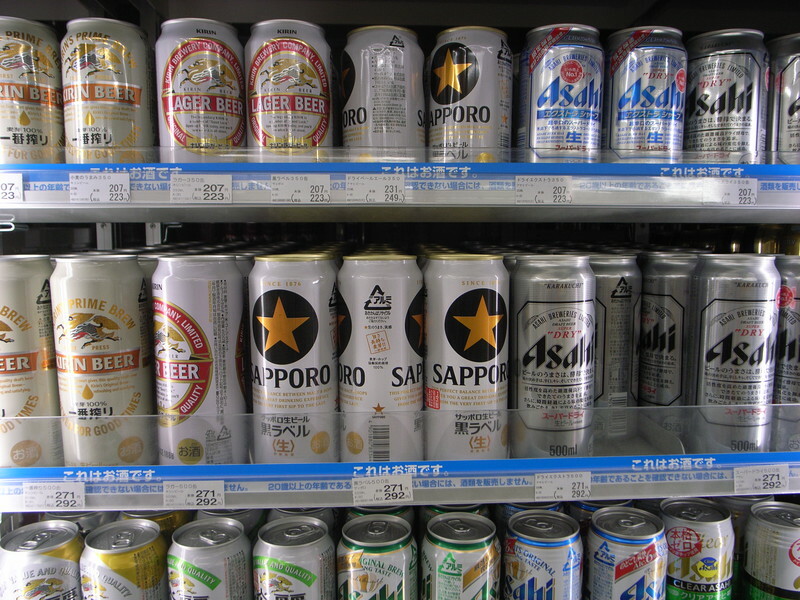 You’ll be surprised by what you can find in a Japanese convenience store. You can survive pretty well on convenience store food. For serious grocery shopping, you’ll find a bigger selection and slightly lower prices at supermarkets like Fresco, which are all over town. Alcohol is very reasonably priced when you buy it from vending machines, liquor stores, supermarkets or convenience stores. Cigarettes are taxed at lower levels than in most other developed countries, making them cheap as well. Drinks in bars are roughly what you’d expect in other parts of the developed world, if not a bit cheaper. SIM cards have recently become available to travelers and can be purchased at BIC Camera, near Kyoto Station. You can rent cell phones and pocket wifis from Rentafone Japan. For more information, see my How to Buy a Prepaid SIM Card in Japan page. If you find that you’ve left home without the right clothes, don’t fret: You can buy almost anything you need in Kyoto. Try Uniclo in the Mina Building on Kawaramachi, just south of Sanjo-dori. For a full list of great souvenirs and where to buy them, see my Best Kyoto Souvenirs page. For a list of my favorite shops, see my Kyoto Shopping page. You can buy basic toiletries in a convenience store. For a much better selection, visit one of Kyoto’s many super drug stores, which can be found downtown and in most other parts of the city. 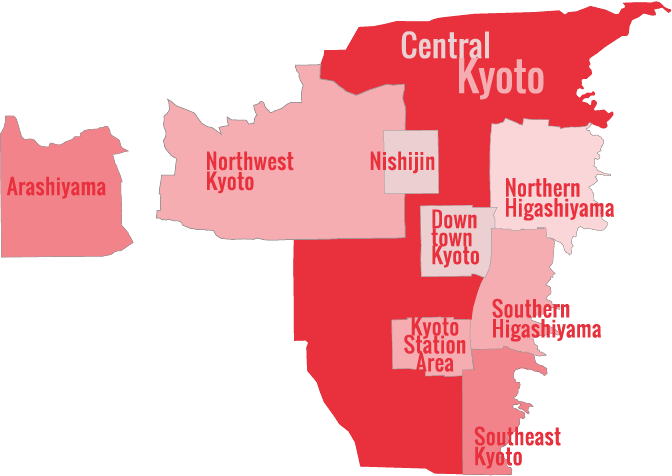 Kyoto’s public transport network is extremely cheap and easy to use. And you might be pleasantly surprised to find out that taxis are also relatively cheap, especially if you split the fare. See my Getting Around Kyoto page for a full overview of Kyoto transport. It’s not particularly expensive to see the sights in Kyoto. Two or three temples a day will cost less than US$10. Shrines are almost always free. And museums cost less than in many other parts of the world. See my Things To Do In Kyoto for a full overview of Kyoto sights and activities. Of all the experiences you can have in Kyoto, an evening of geisha entertainment is guaranteed to be a lifelong memory. While it’s not cheap, if three or four people split the costs, it can be quite reasonable. I organize geisha entertainment through my company, Chris Rowthorn Tours. You might be surprised by how cheap it is to fly to Japan. The closest airport to Kyoto is Osaka’s Kansai International Airport (KIX). For full details on traveling between KIX and Kyoto, see our Kyoto Airport Transport page. You can check Kyoto flight prices and times on CheapFlights.com, which lets you quickly find the cheapest flight by comparing multiple airline prices.